Liberals can say anything they like, regardless of how crude or tasteless, about conservatives and the media pays no attention. In fact, the media promotes the insult, never condemning the offending liberal. No one is insulted more by liberals than President Trump, the latest offender being a black Florida congresswoman by the name of Frederica Wilson, who I have never seen without her ridiculous cowboy hat. 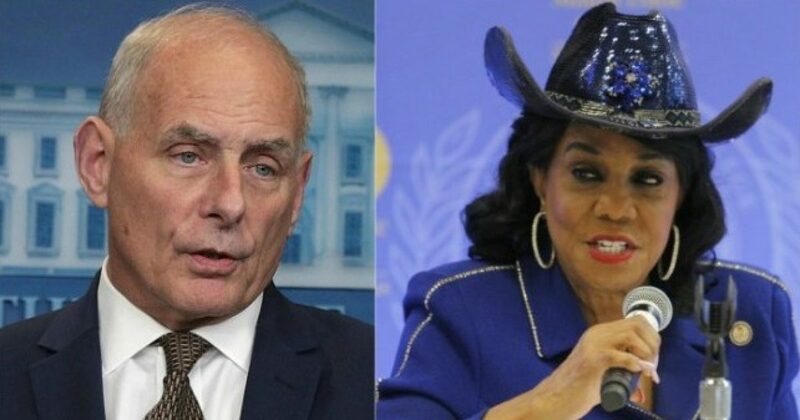 So incensed by Wilson’s latest attack on President Trump, otherwise low-key, nonconfrontational Chief of Staff John Kelly felt a need to respond and blasted Wilson for her tasteless and erroneous attack on the President that involved a recently deceased soldier.